To the exalted Creator and Cherisher of humanity. Thus is gratitude one of the keys to unending Felicity. During our brief sojourn on this earthly plane. He who Allah made the cause of our worldly existence. After this, thanks of any amount becomes a pittance. and all the hardships and sacrifices they selflessly bear. But in teaching us virtues, to our Lord so pleasing. like decency, honor, manhood, and integrity? Who taught so much simply through his character. How ennobling it is to serve one’s family, kith, and kin. Than one ever learns from others’ endless conversation. And how one stands on principle, regardless of one’s plight. But he who toiled for her every comfort also deserves a share. Out of the year, to buy him a cheap gift and be on our way. Showing him utmost respect and love, in word and in deeds. 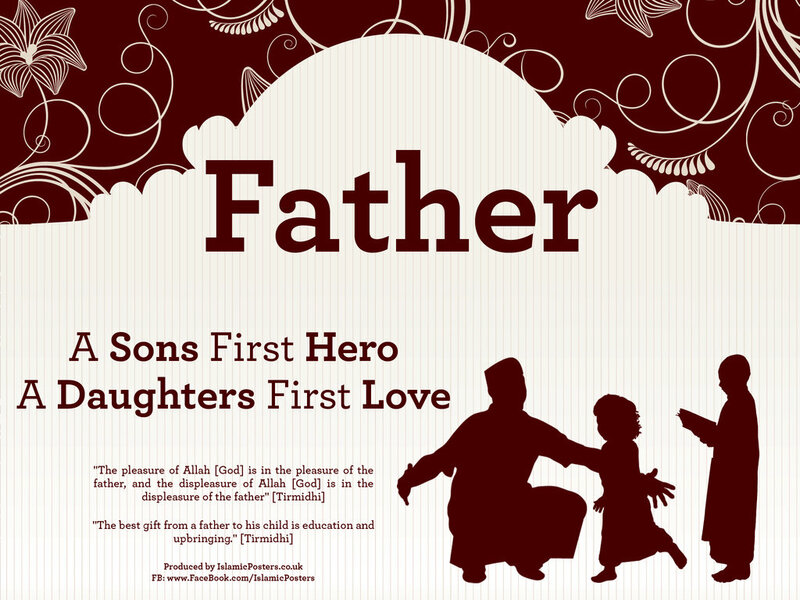 O Allah, through our parents, grant us the best of endings and a goodly fate! For if Paradise lies at the mother’s feet, then the father is surely its gate!